44. 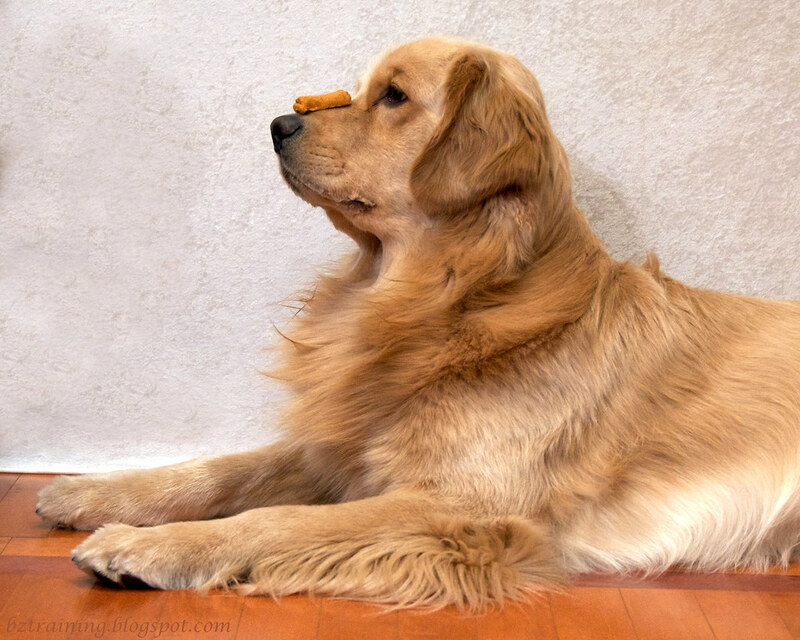 See What I Can Do - Does your dog have a hidden talent? Is he or she really good at something? 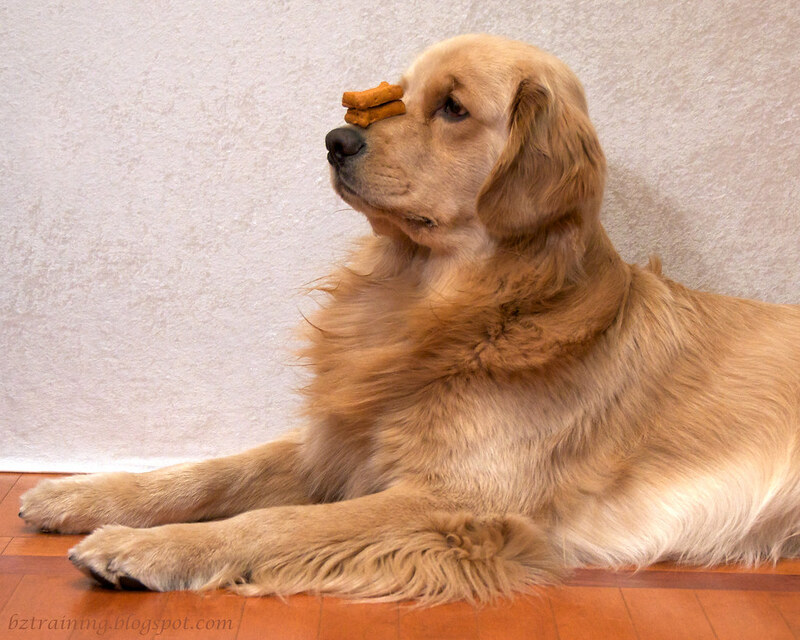 Silly or realistic, show us what your dog can do! Our Daily Challenge - "Balance"
I find this skill particularly amusing, as it is something that came quite easily to Henry, and is nearly impossible for Zachary to do. You may recall that Zachary doesn't "do" nothing, and my guess is that sitting there while I pile cookies on your nose is way too close to "nothing" for Zachary. And to those who mentioned the Evil Jingle Collar, I believe the Precious Puppy is busy adding you to his naughty list! I love that his eyes get bigger and more worried with each additional cookie. The minute my hand moved from the cookie the cookie would be in the mouth. What amazing restraint. Yeah Henry. That is an amazing talent. But I know what was going thru your mind during all this. It is clearly echoed in your eyes as they get more and more droopy with each added bone. Which My Vickie finds a very charming part of the photos. And we think you should be making your human a millianaire with your handsomeness and her skills with photography. I absolutely love Henry's talent! Those pictures are fantastic. Henry is very talented and patient too!!! I don't know your email, but check out my blog...I have awarded you with the Kreativ Bloggers Award! Fantastic photos but Henry!! You Rock! Not a trick I see the piggy Miss Kodee doing soon!